The term “organic architecture” was coined by Frank Lloyd Wright and describes his philosophy of designing structures that emulated nature and existed in harmony with the natural world. Wright became one of Makovecz’s main influences after he discovered Hungarian translations of his writings while studying at the Technical University of Budapest. He was also influenced by Bruce Goff, Antoni Gaudí, and Károly Kós. As a student, Makovecz was arrested during the Hungarian Revolution of 1956. 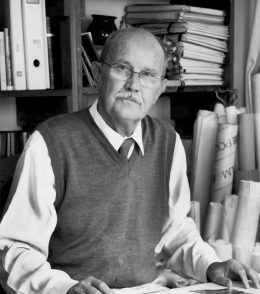 Later he was banned from working in Budapest on account of his unconventional designs and his criticism of the brutalist concrete buildings that dominated the landscape of Communist satellite nations. He then moved to Visegrád, a small town on the bank of the Danube, where he began to develop a distinct style. Following the collapse of the Soviet Union, the focus of his criticism became the forces of modern capitalism and globalization, which he believed eroded local and national identity and severed man from nature. The prevailing theme throughout Makovecz’s work is the idea of creating a connection between the heavens and the earth. He was inspired by the symbolism of the tree of life (or world tree), an ancient mythological archetype represented as a cosmic tree encapsulating all forms of creation whose branches extend into the heavens and whose roots extend into the underworld. In Hungarian mythology, the tree of life/world tree (known in Hungarian variously as “égig érő fa,” “világfa,” or “életfa”) lies at the center of the cosmos. This motif survives in Hungarian folklore as a remnant of shamanistic beliefs prevalent among the Magyar people before they migrated westward. (It is possible that the Norse myth of Yggdrasil could likewise trace its origins to shamanic lore of northern Eurasia.) Its symbolism is central to Makovecz’s architectural philosophy. Trees in general are prominent in Makovecz’s work. Most of his structures are constructed predominantly from wood, recalling the traditional timber-framed wattle-and-daub huts of the Hungarian peasantry. They are often evocative of natural formations. His works also often feature nature-based motifs common in Hungarian folk art such as the tulip, the falcon (the Turul, a Hungarian national symbol), the moon and sun, etc. Makovecz was also fascinated by Celtic folklore and mythology and incorporates this influence into his work as well (similarly Ödön Lechner took inspiration from Indian architecture). Ancient Celtic art bears some similarities to Hungarian folk art because Celtic tribes settled in the Carpathian Basin during the Iron Age and spread La Tène culture, which developed from contact between Celts and Mediterranean influences (Greeks, Etruscans, etc.) and flourished in much of modern-day Hungary. His intellectual influences included Rudolf Steiner, Carl Jung, and Hungarian Traditionalist Béla Hamvas. 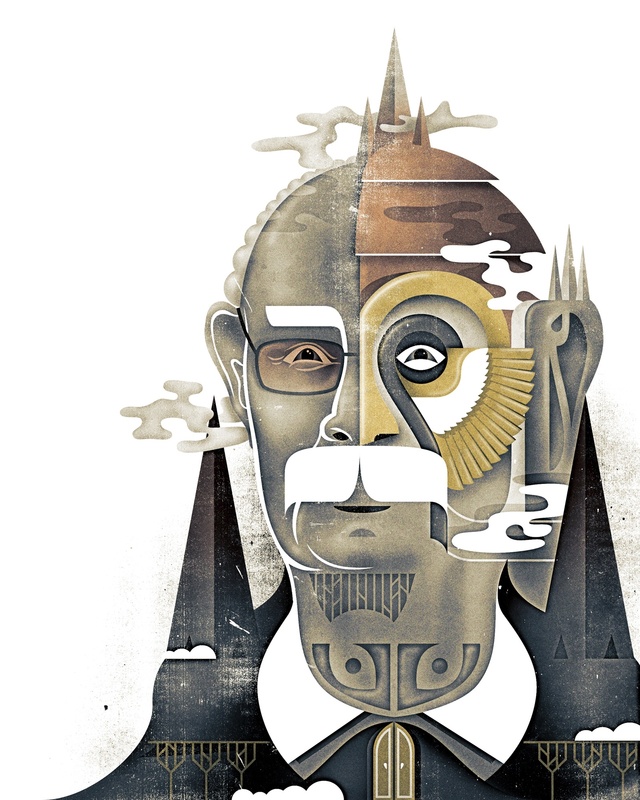 In particular he was influenced by Steiner’s philosophy of anthroposophy (so-called for its humanistic bent), which posits the existence of a spiritual world that can be objectively perceived. He also admired William Morris, whom he described as one who “took on the fight against Mammon, the fight against capitalist centralization.” He extolled artisanship and lamented that Budapest had become a “playground” for foreign developers at the expense of Hungarian craftsmen. However in spite of his criticism of the monotony of prefabricated modern buildings, Makovecz was not opposed to modernism in itself. His architecture is not reactionary and goes beyond slavishly imitating traditional styles. As Thorsten Botz-Bornstein notes, “. . . while organic architecture is critical of a certain kind of technological and mechanical culture, its aesthetic expressions are always future-oriented. . . . Organicism wants a different kind of modernity, and Hungary has turned out to be a suitable ground for staging this experiment.” Makovecz can be compared to his compatriot Béla Bartók, whose modernist compositions were influenced by Hungarian folk music. 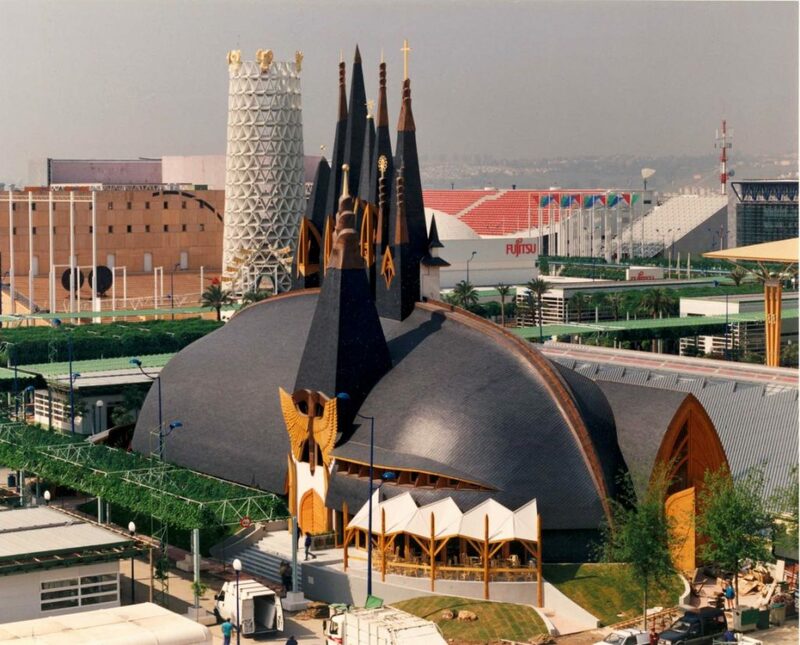 Makovecz gained international prominence after he was commissioned to design the Hungarian Pavilion at the World Expo in 1992. His pavilion was regarded as the most creative structure at the exposition and was the only one constructed by traditional craftsmen using entirely natural materials. Its humpbacked grey roof is crowned with seven bell towers positioned across its diagonal, below which lies a wall dividing the interior into two sections, symbolizing Eastern Hungary and Western Hungary. 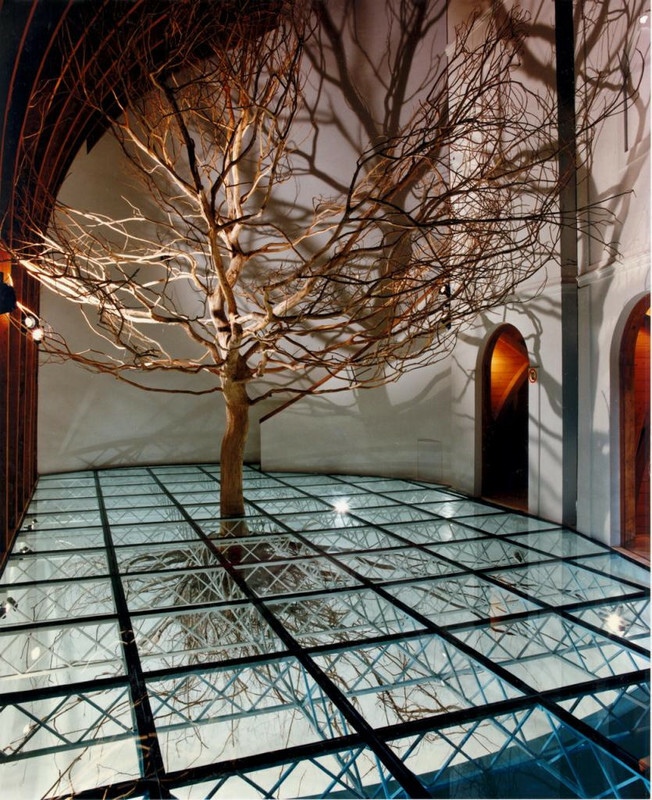 At the center lies an oak tree whose roots are visible beneath the glass floor of the pavilion, representing Hungary’s rootedness in the past and simultaneous extension into the future as well as the symbolism of the tree of life. The 20-minute tour of the pavilion was accompanied by folk/ambient music (“Myths of the Hungarian Oak”) and concluded with a short film about Hungarian history. The tree of life motif appears again beneath a cross atop the spire of the Lutheran church in Siofok. 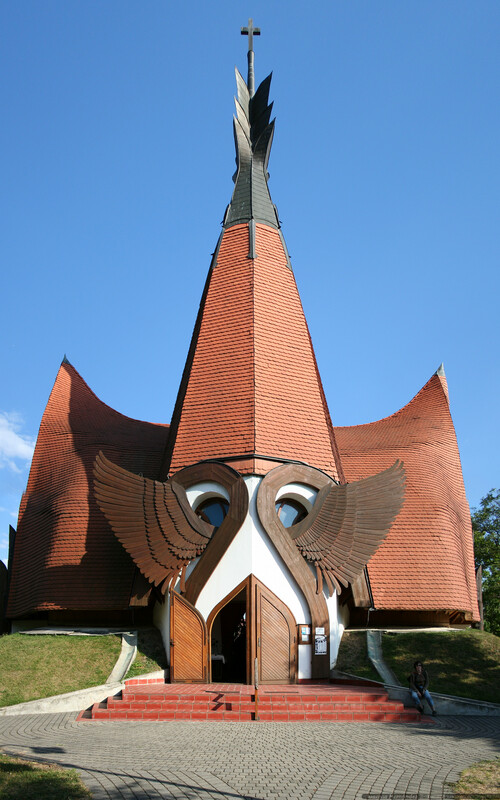 The facade of the church resembles that of a bird with two eyes flanked by outstretched wings. Makovecz imagined it as the mask of God, or of an ancient Celtic warrior. The church was constructed mostly of wood. 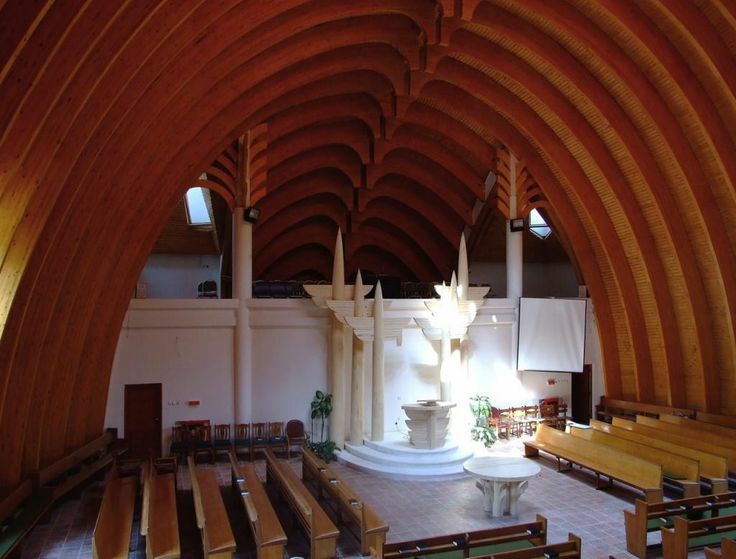 Similar to the church in Siofok is the church in Százhalombatta, which consists of a dome upheld by tree-like pillars whose facade bears a similar wing motif. There is a circular opening at the top, reminiscent of Hungarian yurt architecture. It was thought that the spirits of shamans would fly through the openings of yurts. His earliest notable work was the mortuary chapel of Farkasrét Cemetery, where many notable Hungarians are buried. Makovecz himself was buried there following his death in 2011. The chapel’s eerie, cavernous interior is one of his most evocative designs. 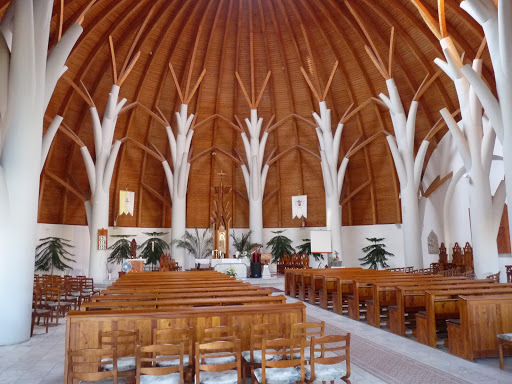 Its arched wooden beams resemble human ribs and the coffin placed in the center evokes the image of a human heart. Makovecz believed that all structures are effectively living beings (he called them “building beings”) with souls of their own. His next major work was the Catholic church in Paks. 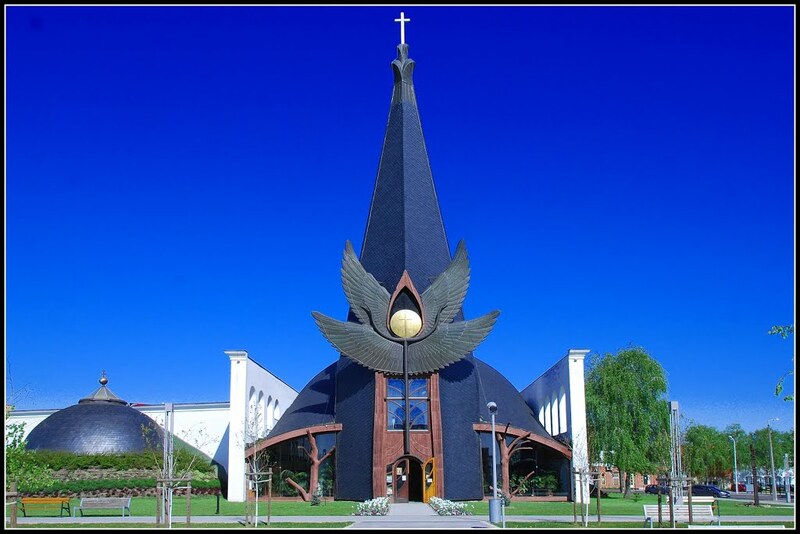 It was also constructed of wood, like the church in Siofok. Its exterior is characterized by a tall, three-pointed gateway that gives way to a dark mound that bulges above the chancel area. Its layout diverges from the traditional cruciform plan and instead takes the form of two symmetrical “S” shapes, a symbol common in Hungarian folk art and Celtic iconography. According to Makovecz, its symmetry represents the unity of opposites, recalling the tree of life, hence the two angels on either side of the church (representing light and darkness respectively) and the sun and crescent moon atop its spires. Above the altar there is a stained-glass window bearing this symbol through which light pours inside the church. A notable late work of his is the Stephenaeum, the central lecture hall at the Pázmány Péter Catholic University in Piliscsaba. Although Makovecz used concrete and copper as opposed to wood, the auditorium inside is encircled by buttresses resembling trees, and the ceiling resembles foliage. The building’s exterior takes the form of two domes colliding into each other, symbolizing the collision of two disparate influences: classical architecture and traditional Hungarian yurt architecture. Another late work is the Onion House theatre in Makó, which evinces traditional influences yet is distinctly modern. The theatre resembles a thatched-roofed dwelling (and was also meant to evoke the onions for which Makó is known) and features towers in each corner, each containing a smaller tower within, that progressively evolve into glass. It reflects Makovecz’s philosophy that the higher elements of a structure should appear as if they had descended from the sky while the lower elements should appear to be grounded and rooted within the earth. 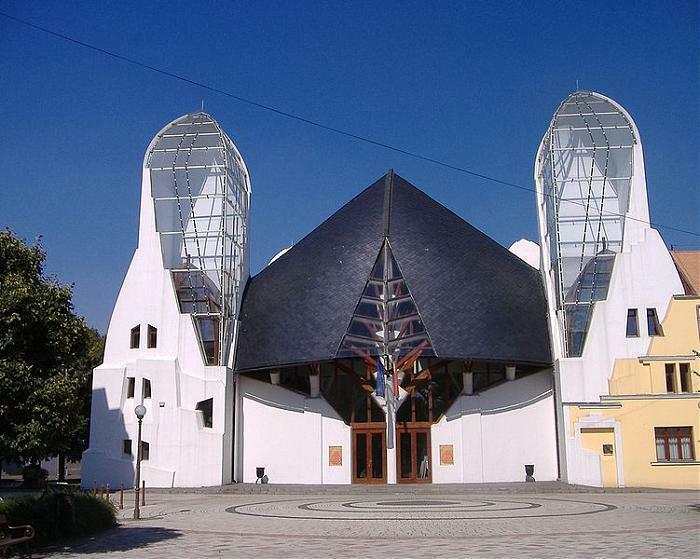 Makovecz also designed Makó’s thermal bath, which features onion-shaped domes and a spacious interior with a central pillar resembling the tree of life design atop the church at Siofok. Makovecz was a founding member of the Hungarian Academy of the Arts, an organization founded in 1992 in order to promote Hungarian art and culture. He served as its president until his death. In 2010, Viktor Orbán incorporated this institution into the Hungarian government. A close friend and staunch supporter of Orbán, Makovecz dabbled in politics throughout his career. He served on the editorial committee of the conservative newspaper Magyar Nemzet from 1996 to 1998 and occasionally spoke on political topics in Hungarian media (his disparaging remarks about Ágnes Heller and György Konrád, referencing their Jewishness, provoked especial controversy). Last month, a museum dedicated to Makovecz (the Makovecz Centre and Archives) was opened in Budapest in order to preserve his plans and writings and continue his legacy. At the opening ceremony, Orbán delivered an address in which he praised Makovecz for having “lived and worked for the salvation of the Hungarian spirit” and having rejected the “colorless, odorless, inorganic, multicultural plastic world driven by international markets.” He also emphasized the importance of institutions such as the Hungarian Academy of the Arts that ensure the preservation of Hungarian culture and heritage. The museum will be opened to the general public in January 2018. 1. Edwin Heathcote, Imre Makovecz: The Wings of the Soul (New York: Wiley, 1997), 7. 3. Thorsten Botz-Bortsein, Organic Cinema: Film, Architecture, and the Work of Béla Tarr (New York: Berghahn Books, 2017), 80. Published: December 28, 2017 | This entry was posted in North American New Right and tagged A. Graham, architecture, articles, Hungary, identitarianism, Imre Makovecz, nationalism, North American New Right, originals. Both comments and trackbacks are currently closed. 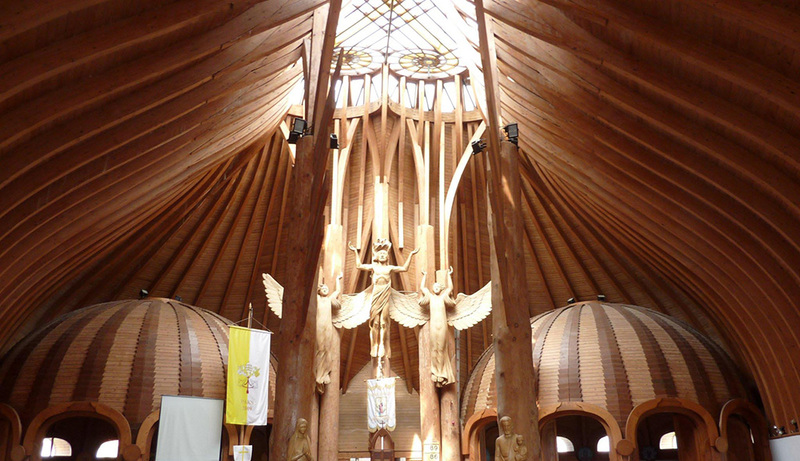 It would be interesting to know whether Makovecz was a Christian, given his many commissions to design churches. He was an occultist/Kabbalist. 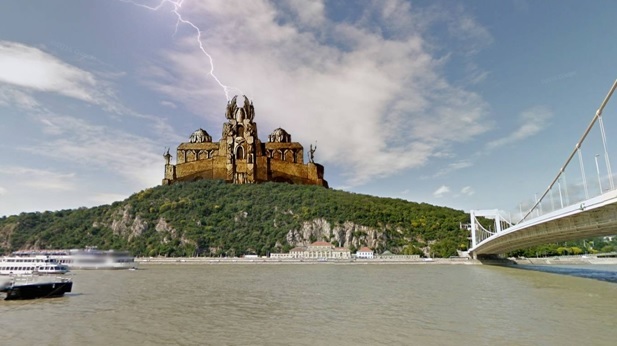 After 2002 he was prohibited to work for the Hungarian Catholic Church, and his large public projects were dropped because Orbán’s government refused to finance them. National Pantheon on Gellért Hill (nicknamed “Mordor Castle” by the population of Budapest). “Little known today, Jean Baffier (1851-1920) was never far from the headlines during his own lifetime. Born into a poor peasant family, he became a self-taught sculptor whose work ranged from decorative objects to portrayals of peasant life and public monuments. But Baffier would probably not have received wide public attention if he had not also become a folklorist, a promoter of regional culture, and a militant nationalist with beliefs so violent that he attempted a political assassination. “La race juive qui règne effectivement en ce pays, depuis cent ans, était, hier encore, une puissance occulte, par conséquent irresponsable et, partant, plus redoutable. Des événements récents ont obligé ce pouvoir occulte à devenir un parti, ce qui affaiblit sa puissance. As of writing, I don’t feel like I can produce an acceptable translation of the above, but I might do this later.